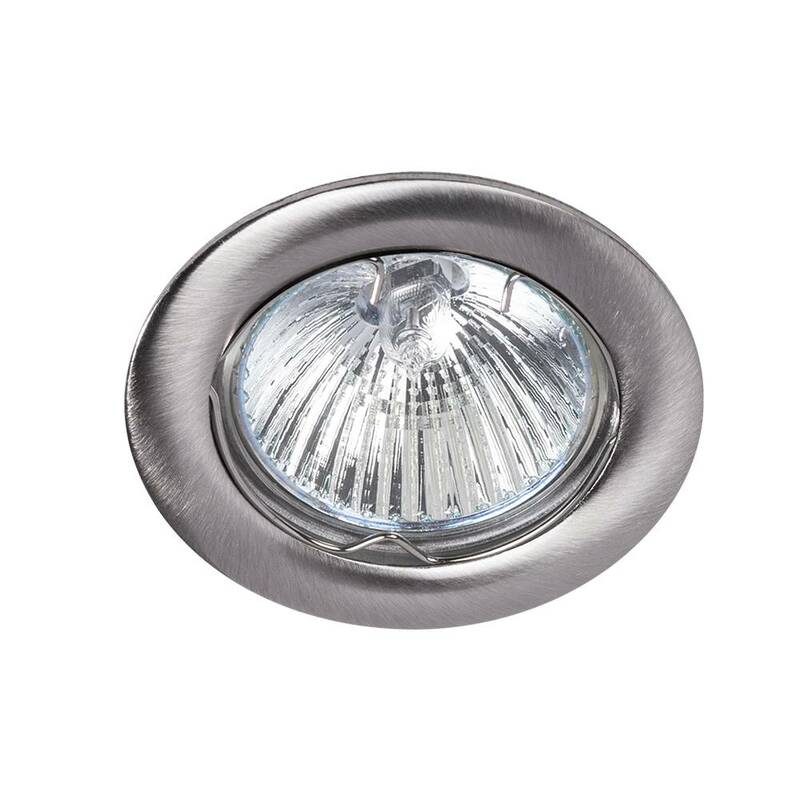 Fixed stainless steel look recessed spot suitable for various LED and halogen lamps. Fixed recessed spot suitable for MR16 50mm LED lamp such as GU5.3 12V, GU10 230V. By means of clamping springs this spot is suitable for mounting in a suspended ceiling. The Sealing Class is IP20. The spot is finished in stainless steel look and has an elegant look. dimmable in combination with a dimmable LED lamp.